Magento is a great platform and folks love it. 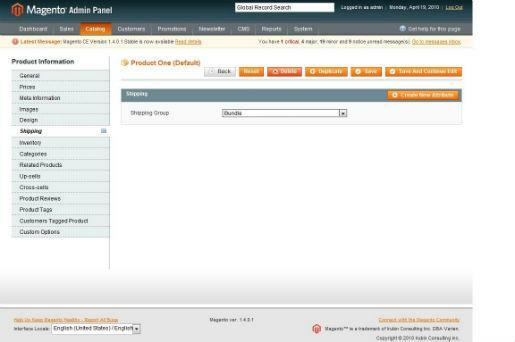 And Magento extensions are truly a great way of making this platform even more powerful and awesome. If you are using Magento as your e-commerce platform, you must be aware of the fact that its basic set up doesn’t fulfill all your needs. And that’s an obvious fact- it’s just a platform, not an entire business packed inside a box. You have to navigate to the Magento connect store, look for the tools related to email management, shipping, currency conversions, social marketing and a lot more. Sounds like a bit tricky, right? Don’t worry we will take the pain out by providing you with a list of some awesome Magento extensions that are sure to raise the quality bar of your online store. Just like so many open-source platforms, the list of extensions can be overwhelming, so we have narrowed it down for you which we find essential for your business. Let’s discuss them in detail. 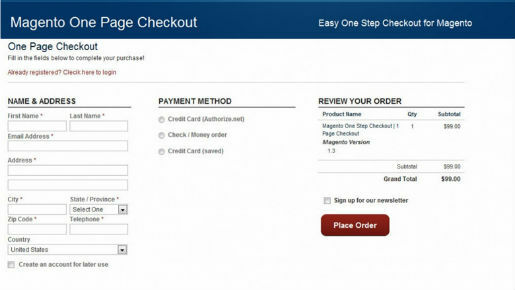 OneStep Checkout Extension is a strong choice for those who want to have a one page check out in their Magento store. The extension is carefully developed with well-written documentation and thoroughly tested for an added security and reliability. The major feature of this extension is that it reduces the lengthy 6 standard Magento checkout process into a single page. The Ajax Cart extension is a great way of providing a faster online shopping experience to your customers. It improves the loading speed and thus brings a memorable shopping experience to your customers. Ajax Cart Extension comes complete with an excellent set of features including options to add multiple products to a shopping cart from a single page, updating or removing product information, animation effects and more. Reviews are one of the best ways of garnering the attention of the customers to your products and services. And Yotpo extension is made just to do that. The extension helps you add a ton of reviews and use them as a tool to generate traffic and sales on your website. It is available for free and can be installed in no time. Managing shipping is a daunting process, especially when you are a beginner. MatrixRate solves the problem by providing you multiple shipping options as per the customer based locations. The extension provides you options to set variations in shipping cost as per the weight, location, and quantity of an item. Want to add a live conversion support with a ticket based support? Then Olark is all what you need. This powerful extension is great at adding a live chat support on your store, thus helping you solve customer queries immediately. With its Olark CartSaver for Magento, you can see how customers are shopping, what they are looking at, and what they are actually picking up. Building a strong customer relationship plays a major role in the overall success of a website. Follow Up Email by aheadWorks is reliable extension for those who want to follow up their customers with the help of automated emails. The extension is an ideal way of establishing a strong connection with your customers by sending auto-emails to them on various occasions. The tool provides you facility to insert coupons, purchased products, tracking codes, pictures and a lot more with emails. Card abandonment can negatively effect the prospects of your e-commerce website. Every time a customer leaves cart on your site, you are leaving the prospects of earning money. Bronto Extension is a great way to deal with such kind of problems. The extension gets the people back who abandon cart on your website and thus help you drive more sales. The extension sends a message or email to the customers whenever the cart is abandon by them, so that customers can finish the transaction within the given period of time. Fooman Google Analytics add capabilities and more features to your Google Analytics. The extension is extremely helpful in tracking the Adwords purchases and conversions. So, there we have it all, pick any of them and get ready to make an online stir. What’s your Opinion about these Magento extensions for Your E-commerce Store? If you have anything to say, please share your opinion in the comments section. Your opinion matters, unless it is a Spam. Jason Roiz is qualified outsource web development professional who is great at delivering focus in his writings. He meets expectations for OSSMedia, a custom Magento development company which also giving proficient WordPress, Drupal and Joomla improvement administrations. I liked your post. These are very helpful Magento tips for all newbie developers who are facing ecommerce website related problem. Keep up sharing such great post with us. 53 queries in 0.349 seconds.